If you were injured in any type of truck accident in the Florida Keys, then you will probably want to speak with the best Florida Keys truck accident lawyer you can find. Any kind of accident involving trucks usually involve serious injuries and sometimes fatal results. In addition, more often than not, the truck is owned by a corporation with multiple layers of insurance coverage. At the Wolfson Law Firm, our Florida Keys truck accident attorneys have helped truck accident victims in South Florida since 1963. We are available to answer your questions if you call us at (305) 285-1115 for your free consultation. We handle all personal injury cases on a contingency fee basis in accordance with the Florida Bar Rules. What that means is that we only get our attorneys’ fees when we make a financial recovery for you. 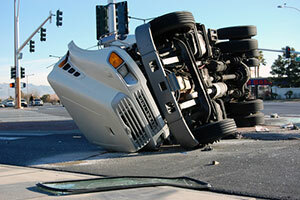 Your Florida Keys truck accident lawyer should be able to coordinate the experts and finance that investigation. In addition, your attorney will place all the potential defendants on notice and make a demand for a full disclosure of insurance coverage. Sorting out questions of fault, responsibility and collectability of each potential defendant is critical to the foundation of your case. No matter what type of truck causes your injuries and damages, you need a Florida Keys truck accident lawyer you can trust to represent you and your loved ones professionally. You want to know that your interests are protected and that your justice is being pursued aggressively and relentlessly. At the Wolfson Law Firm, we invite you to research and interview us in your search for the best Florida Keys truck accident attorney. At the Wolfson Law Firm our number one priority is our clients. We pride ourselves in providing the best possible and most responsive client customer service. Our bilingual lawyers are always available to answer your questions. That extends to potential clients and the general public. We are always happy to answer questions because we believe informed clients are the best clients. Call us at (305) 285-1115 and ask your questions today.